Limited edition includes 21 costumes, art book. 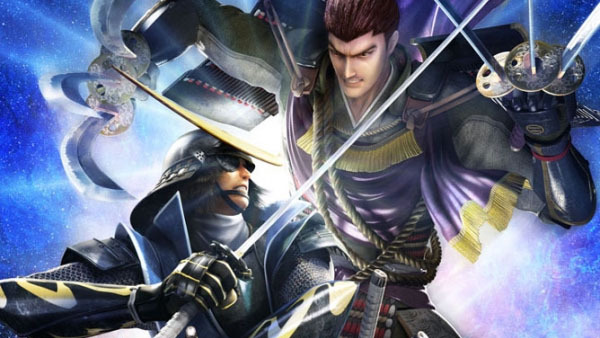 Capcom has issued an official press release following Sengoku Basara 4: Sumeragi‘s Japanese release date announcement in Famitsu this week. The game will launch in Japan on July 23 or 6,990 yen on PlayStation 4 and 5,990 yen on PlayStation 3. A “21 Piece Hobbyist Box” limited edition including 21 add-on costumes and a 24-page art book of said costumes will retail for 11,990 yen on PlayStation 4 and 10,990 yen on PlayStation 3. Capcom also unveiled two types of free, limited run add-on weapons. The first type is for Ashikaga Yoshiteru and is obtainable via a product code and included in a limited number of boxes. Dubbed “Rinne Genkou,” the weapon lets Ashikaga change his standard attack element from Quake to Light. When an elemental attack lands with this, it does additional damage and either make them faint immediately or more prone to reaching that state. The second type is a series of four weapons that consumers can obtain by pre-ordering the game, which will net buyers a code that can be registered at the game’s website. The initial registration period during preorders is from April 18 to June 7, though codes will cease distribution from stores after May 24. Hyouryuu (for Masamune Date) – Can change his standard attack from Lightning type to Ice. His elemental attack can be used to freeze enemies and stop them in their tracks. Seitou Tomurai (for Ishida Mitsunari) – Can change his standard attack from Dark type to Sense type. Landing an elemental attack can make enemies apathetic to player’s presence, as well as make them attack indiscriminately, including their own allies. Koukosou (for Ishida Mitsunari) – Can change her standard attacks from Fire type to Light. It has the same effects as Rinne Genkou on enemies. Mikawa Danuki (for Tokugawa Ieyasu) – Can change his standard attacks from Light type to Wind. Landing an elemental attack does extra damage, with each attack landing multiple hits and building up chain combo numbers. See a video of the weapons in action below. View screenshots, including shots of Tokugawa Ieyasu’s T.M. Revolution collaboration outfit, at the gallery.